Grew up with Tbilisi State University (Georgia) youth teams. Signed for the 2000-01 season by Basco Batumi. Left the team on January ‘04. Moved to Germany, loaned for the remainder of the season to Mitteldeutscher. Moved to Slovenia for the 2004-05 season, signed by BC Olimpija Ljubljana. Moved to Ukraine for the 2007-08 season, signed by BC Kyiv. Moved to Italy for the 2009-10 season, signed by Pallacanestro Cantu. Moved to Turkey, signed for the remainder of the season by Galatasaray Istanbul. Moved to Russia for the 2014-15 season, signed by CSKA Moscow. Moved to Turkey for the 2015-16 season, signed by Darussafaka Istanbul. Moved to Italy for the 2017-18 season, signed by Pallacanestro Reggiana Reggio Emilia. 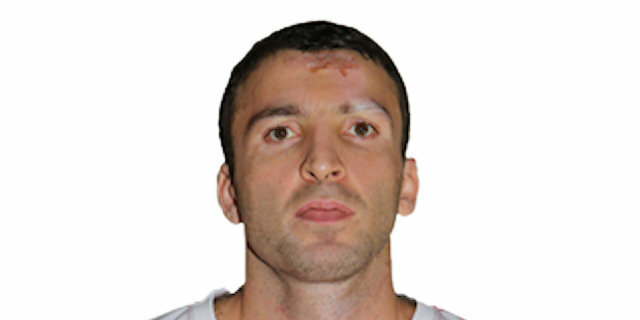 Named the 2011-12 Euroleague Top 16 Week-6 MVP. Won the 2001-02 Georgian National Championship with Basco Batumi. Won the 2004-05 and 2005-06 Slovenian National Championship with BC Olimpija Ljubljana. Won the 2012-13 Turkish National Championship with Galatasaray Istanbul. Won the 2003 Italian National Cup with Benetton Treviso. Won the 2005 and 2006 Slovenian National Cup with BC Olimpija Ljubljana. Won the 2002 Italian Super Cup with Benetton Treviso. Won the 2012 Italian Super Cup with Pallacanestro Cantu. Won the 2004 FIBA Europe Cup with Mitteldeutscher. Has been member of the Georgian U-16 and U-18 National Team. Named to the 2001 European U-16 Championship All-Star Team. Member of the Georgian National Team.